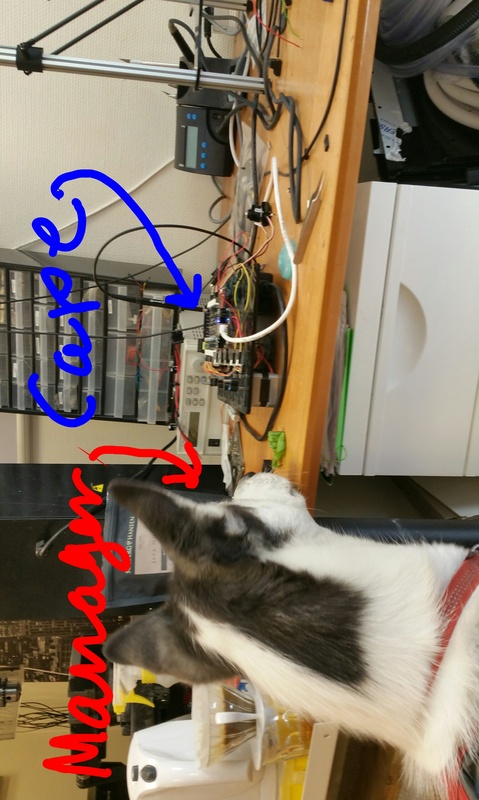 For BeagleBone Black the cape manager has been missing or somewhat broken since 3-odd-8 or something, but with Linux kernel 4.1, it's back in business (a part of mainline kernel)! That means you no longer have to recompile the whole device tree in order to enable or disable an IP core slash peripheral, instead you can simply compile the overlay and fix the device tree in the running kernel. This simplifies development and there are also some good tools and a repo for pushing these changes out. Without cape manager, you basically have one single device tree blog that is loaded when the kernel starts. If you want to change which peripherals are enabled, you need to recompile the device and reboot. With cape manager, you can choose to change parts of the device tree in a running kernel. This enables loading cape-specific overlays based on the cape that is attached (read from the EEPROM of the cape) or via command line to enable a specific peripheral or mux the pins to a specific function. This is what the Adafruit BBIO library does behind the scenes. Start with a fresh Debian distro. The official Debain image form March should do. To see which capes are loaded, cat it. This file will give you the pin number, the adress of the pin in physical memory and to which function it has been muxed (1 to 7). It will also tell you if it is set up as input/output in the case of GPIO (function 7) and if it has pull-up or pull-down. This can be used to check that a pin has been claimed in the overlay. Very useful for making sure that the groups you add to the am33xx_pinmux node are actually set up as you want them to be. so this saves you from having to look up the pins in a table. I'm trying to use cape manager on ubuntu 14.04. I succeeded with kernel 3.8 but now I'm facing a lot of difficulties with 4.1.
although I'm able to compile the dts sourse with dtc command and I can echo without problems into /sys/devices/platform...........slots the dtbo file i created, my program is not working, it cannot comunicate with i2cbus or spi interface. In 3.8 version I had to disable HDMI cape but here I cannot even see it (maybe I have to disable it some other way). However I would kindly ask you for some help as my dts files were working fine with 3.8 version, now I need to update the system version to support a particular wifi dongle that I have here, but as I update to 4.1, I cannot use my dtbo files, (devices in /dev are created but I cannot read or write correctly to them). Great! Now, how to get the PRU uio devices to show up? the uio_pruss are automatically loaded. uart pins seem not muxed correctly. minicom do work, but nothing transmited through the uarts. upgrading go 4.1.17-ti-rt-r46 fixed the problem! 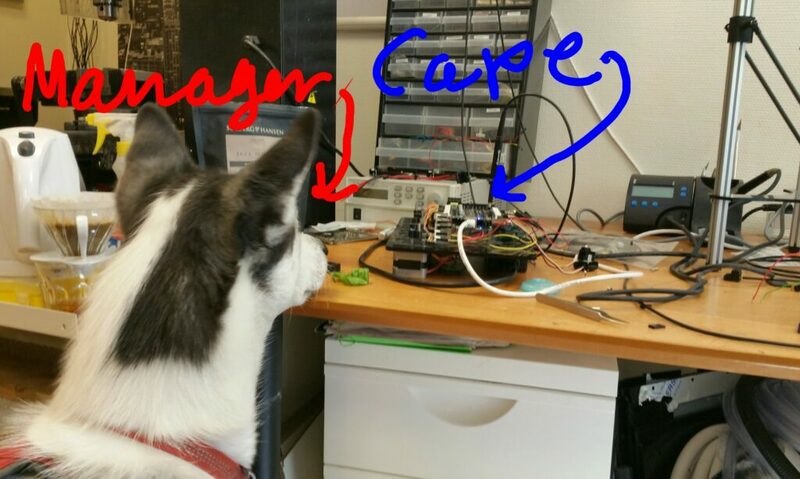 /media/BEAGLEBONE/env.txt and /boot/uBoot/uEnv.txt has moved to /etc/default/capemgr (file which may not exist). It also has a new syntax. Add "CAPE=BB-SPI-01,BB-UART1,BB-UART2,BB-UART4" to get main ports working. Then reboot.